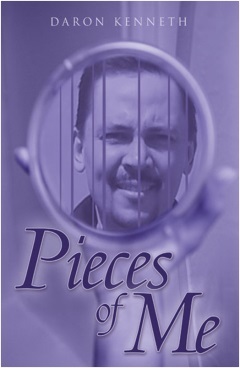 Pieces of Me is Daron Kenneth’s newest offering of poetry that takes the reader on the real, and often surreal, ride through the mindscape of the author’s soul. Pieces of Me is an electric journey into some of life’s richest and most memorable moments. Daron Kenneth, a teacher, writer, play wright and poet gives us his current collection of poetry and insightful observations about the things that mean the most: life, love, friendships and relationships. One winner will be chosen via Rafflecopter to receive one $25 Amazon Gift Certificate. This giveaway begins January 7 and ends on January 21. Winners will be contacted via email on January 22, 2014.